I have hyper sensitive skin and anything which is loaded with beads break me out. I recently picked up gentle peeling smooth away cream. I am loving it so far and I am sure you will also like it. Do try it. I want this ..'Exfoliating' is the word !! 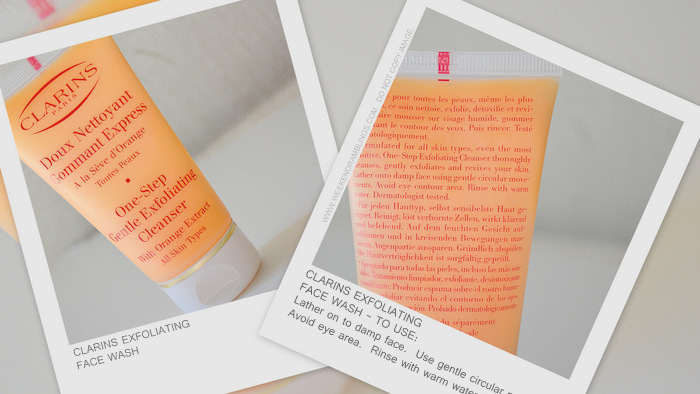 I'm such a grt fan of Clarins.. will try picking this up. Maybe macy's will have some deal on Vday! Seems really good. Does it actually remove all makeup (except eye of course) or do you need to use a separate makeup remover before this? It does leave my skin quite clean, Dollie..but I don't like the part about having to figure out something else for my eyes.. I'm currently using Shiseido cleansing gel. Its so gentle and yet removes all makeup and doesn't dry out my skin either. I love it. Try that out. But honestly, I like Shiseido too...with Clarins, some products work for me some don't.